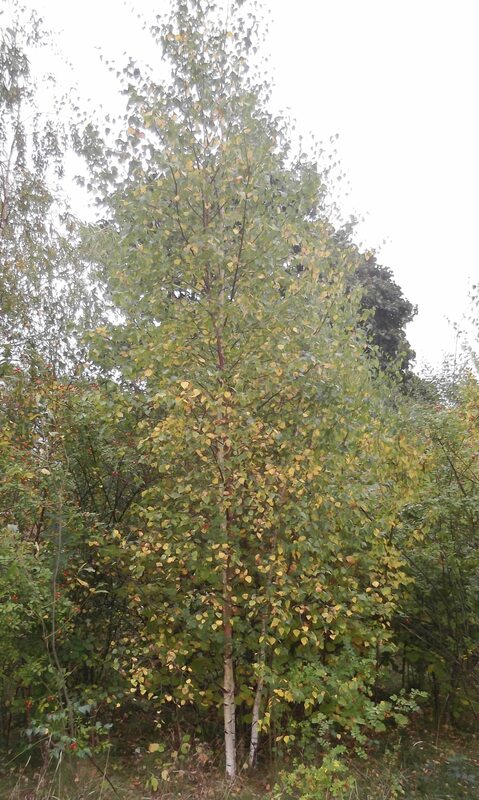 This Autumn David Moore has been conducting a detailed tree survey for MCT (as promised in our Management Plan). 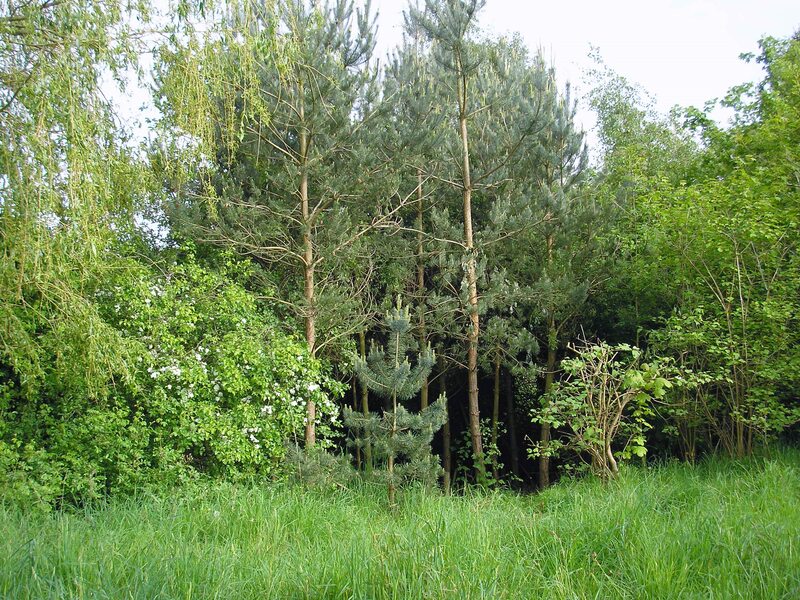 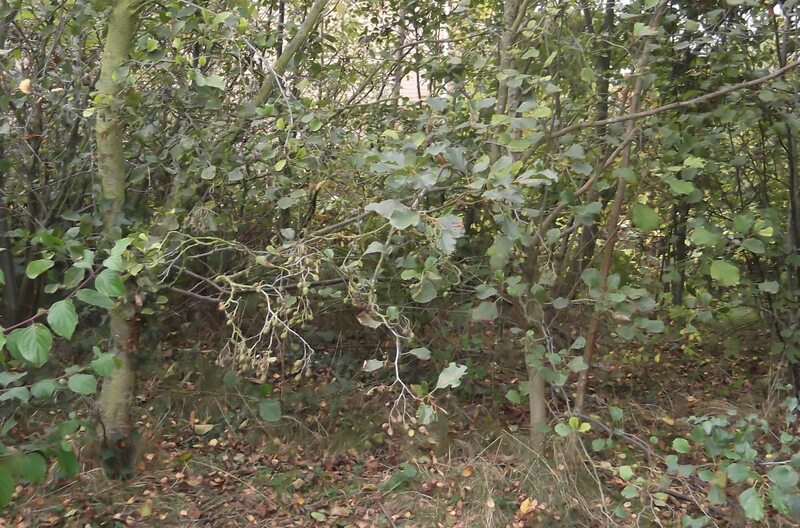 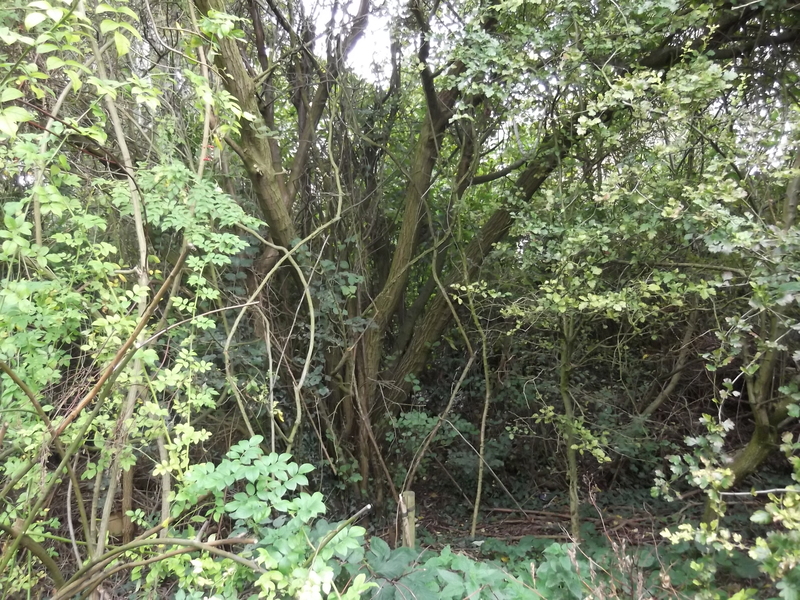 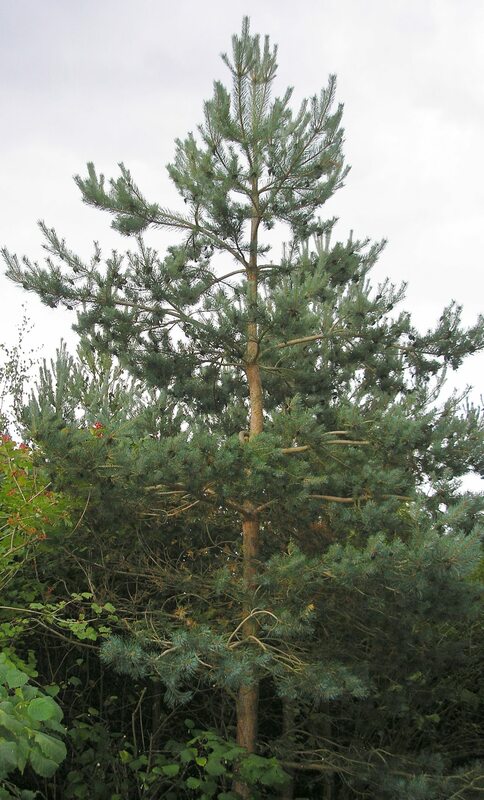 We thought site users might be interested in looking at some of the resulting photographs, so below we have illustrated trees on the Public Open Space North of Nelsons Lane in alphabetical order for user convenience. 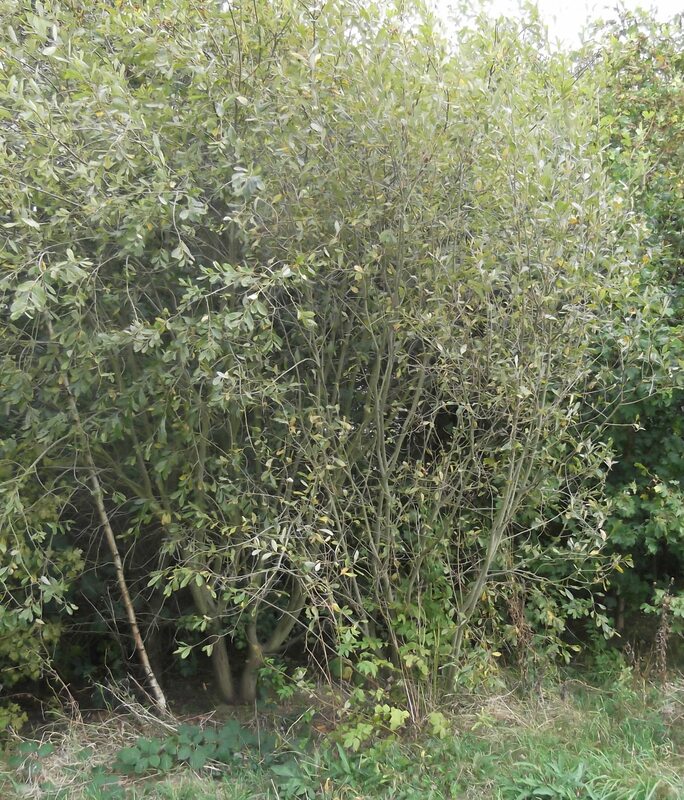 Upper picture shows Ash foliage beside gate; the lower one shows a row of Ash trees in October 2014 behind the striking red colouration of trimmed Guelder rose. 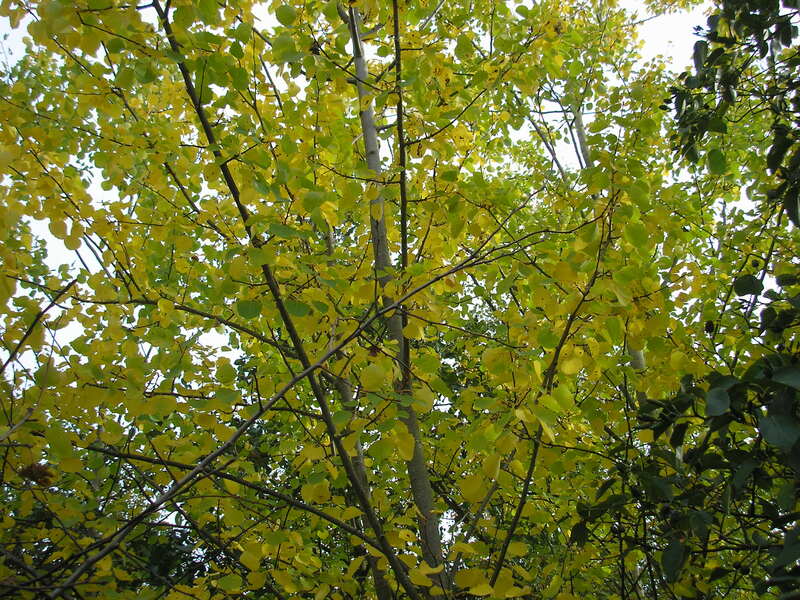 Branch from one of the small group of Aspen trees on the site. 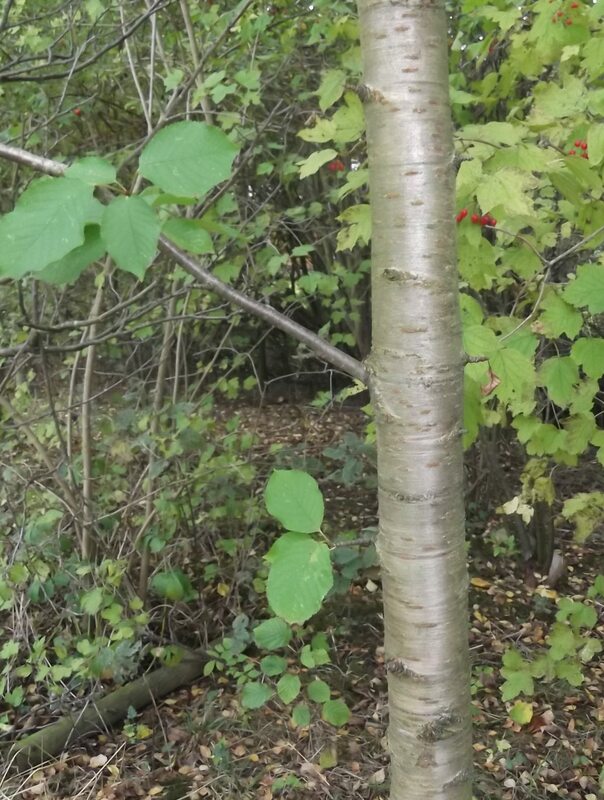 Two photos of Birch trees in October 2014. 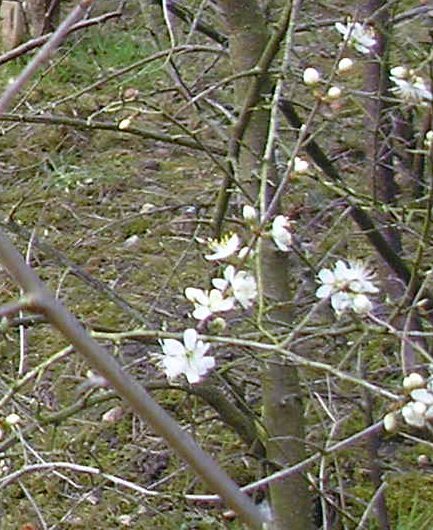 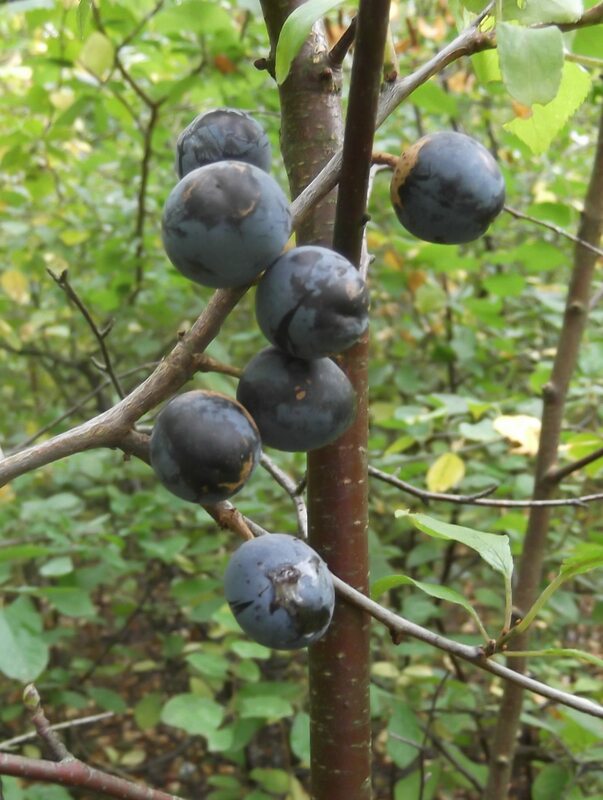 Sloes on Blackthorn in October 2014 and flowers in early April 2015. 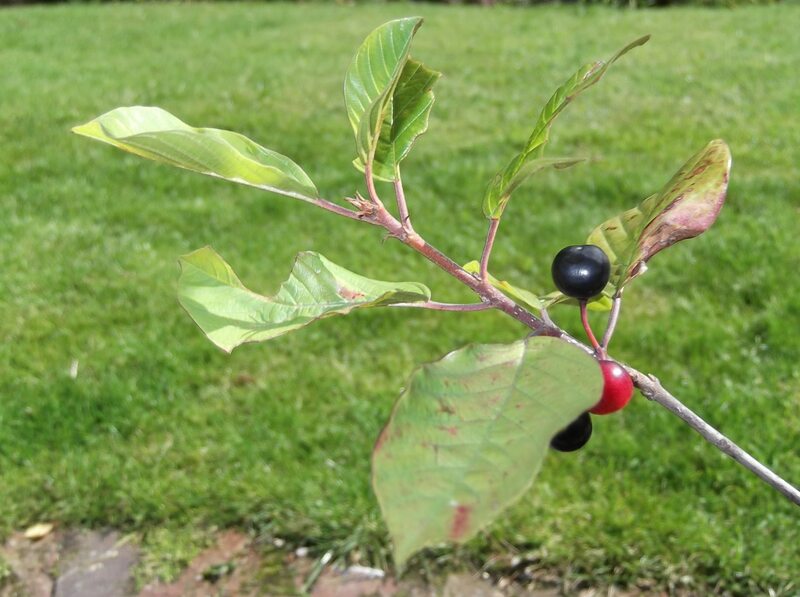 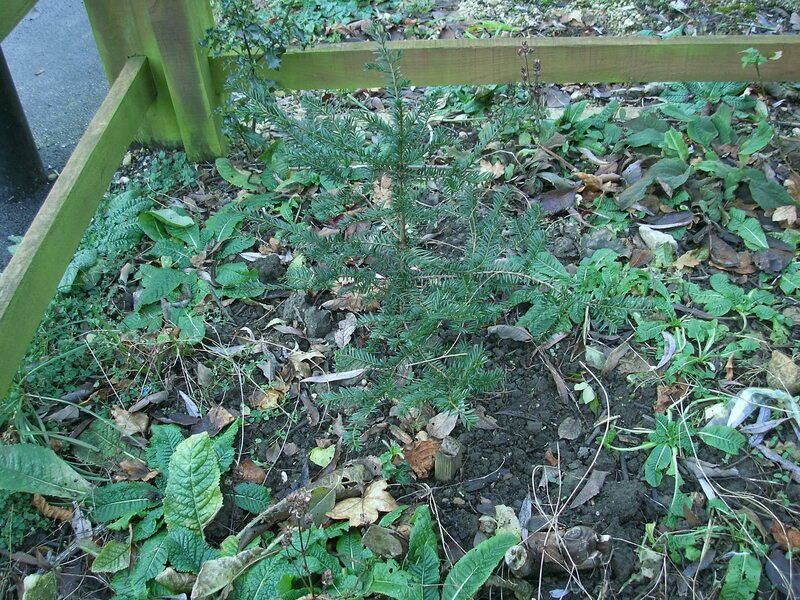 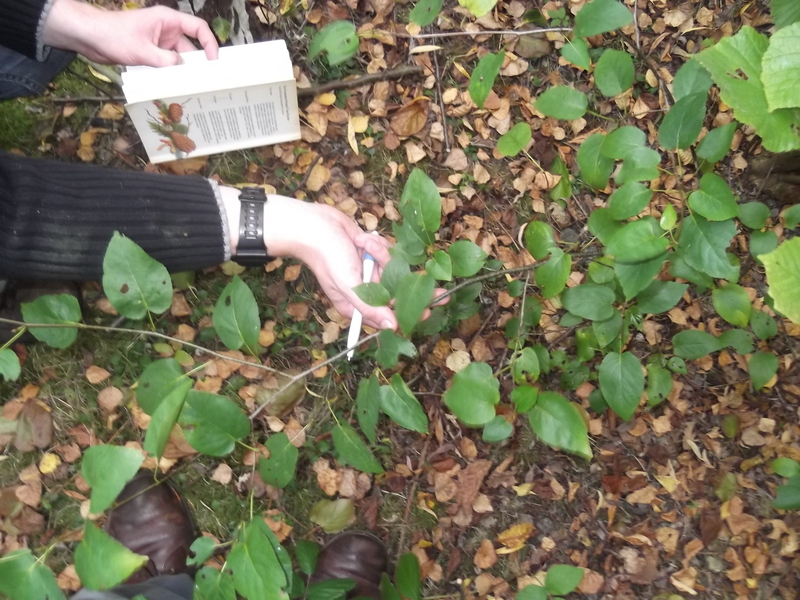 Buckthorn donated by Friends of Hob Moor and grown on by MCT for planting on the Mayfields site to attract Brimstone butterflies. 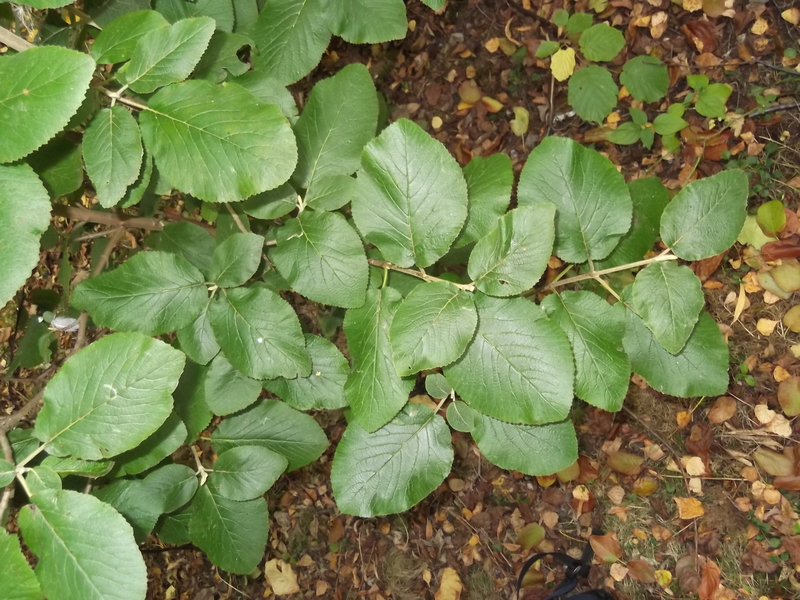 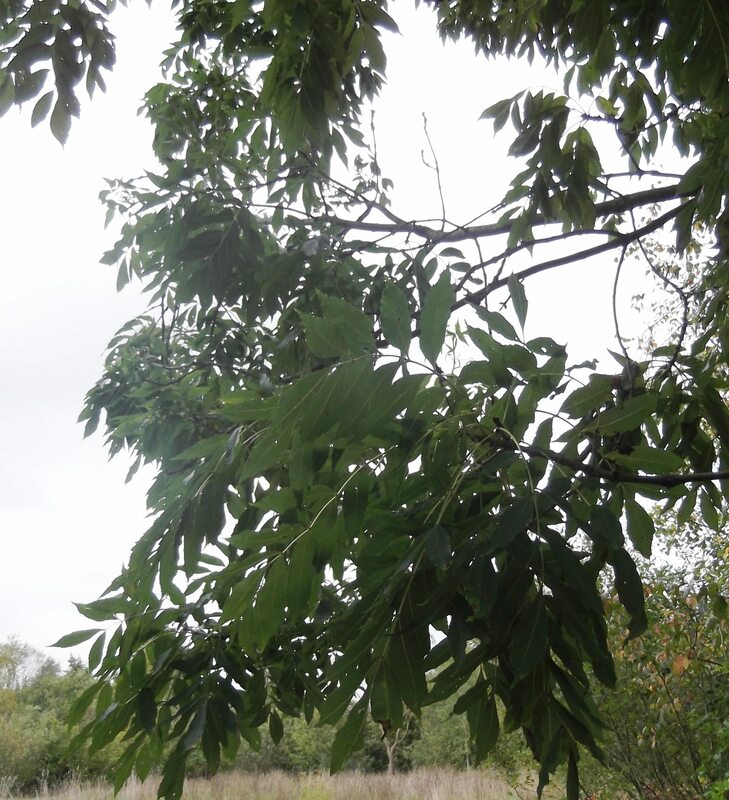 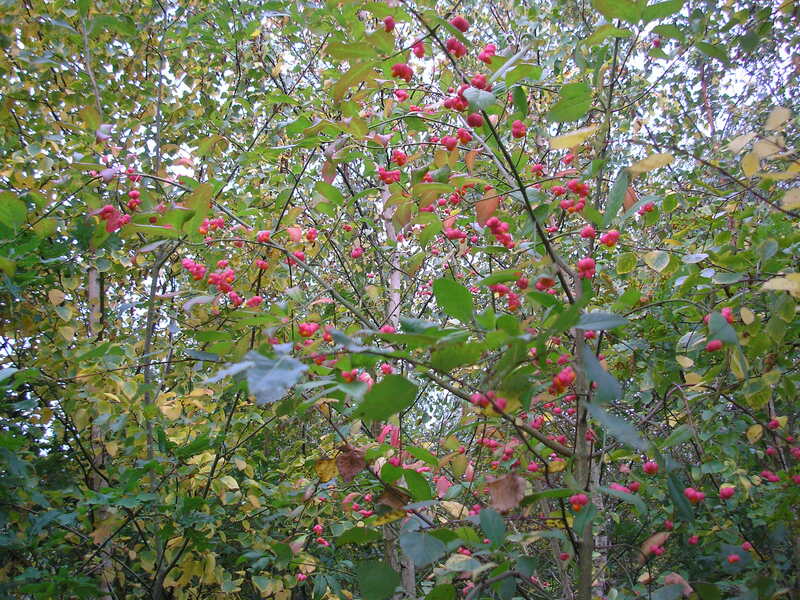 Trunk and foliage of Wild cherry, October 2014 (above). 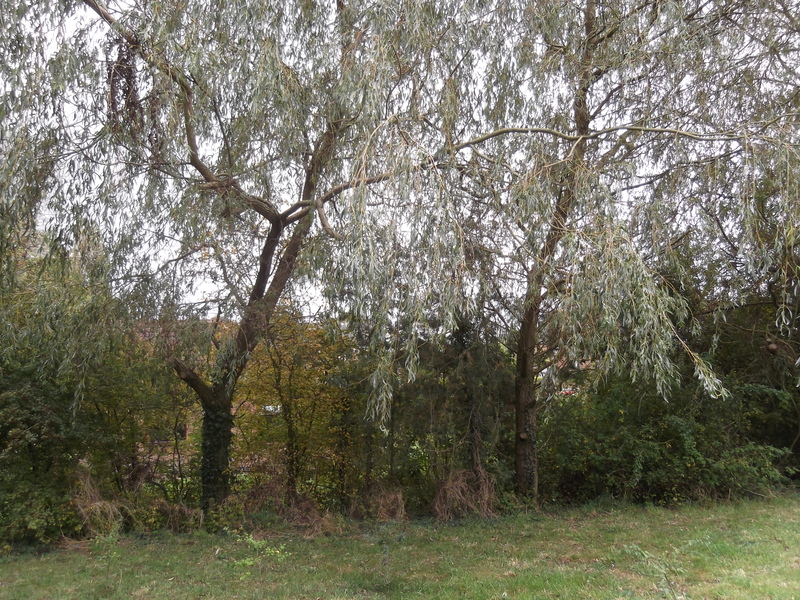 Crack willows beside the path, October 2014. 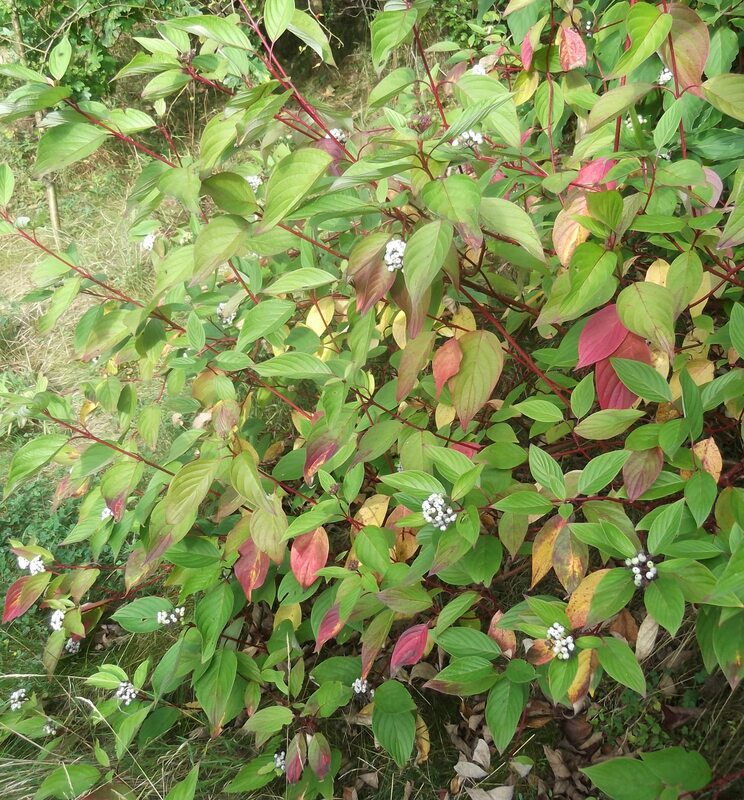 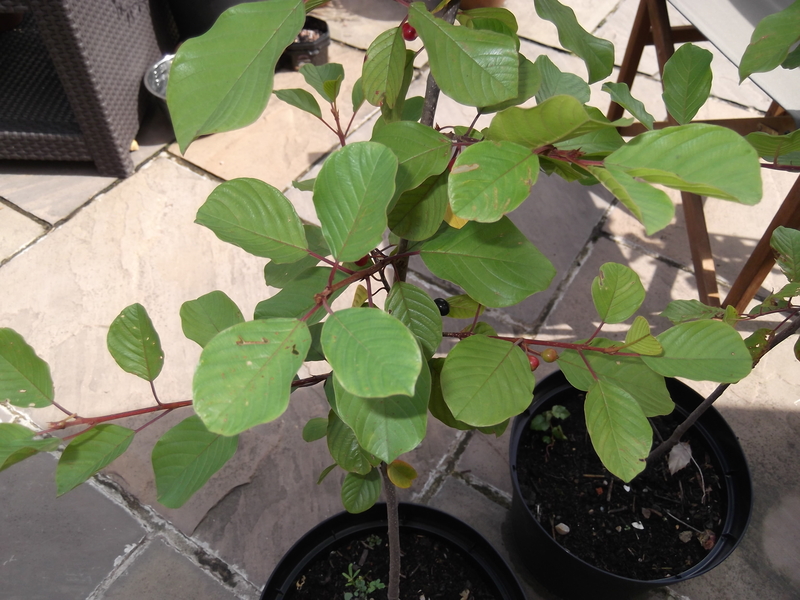 Dogwood on a sunny site, September 2014. 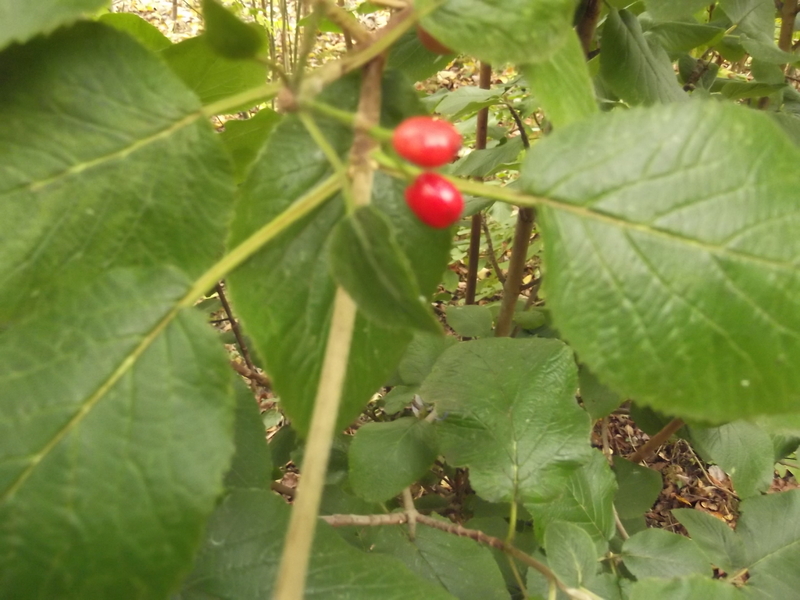 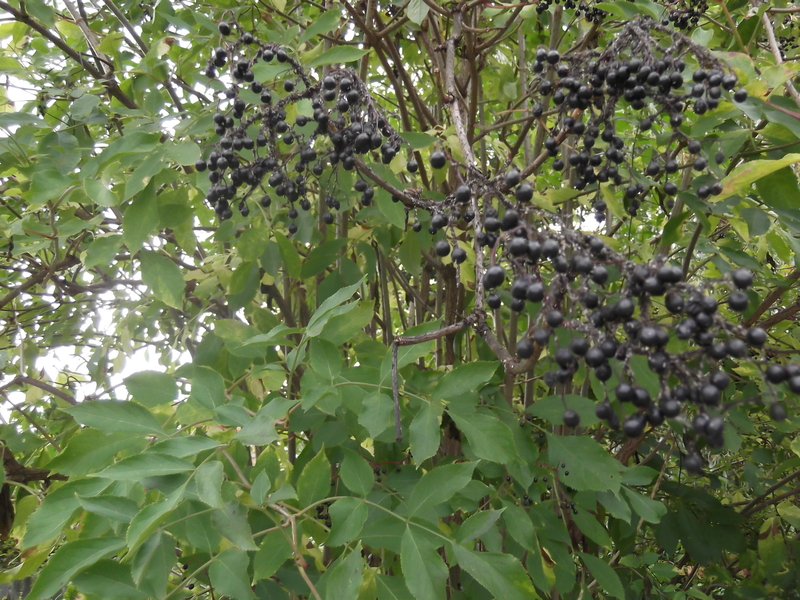 Elder berries and tree by the Nelsons Lane Gate, September 2014. 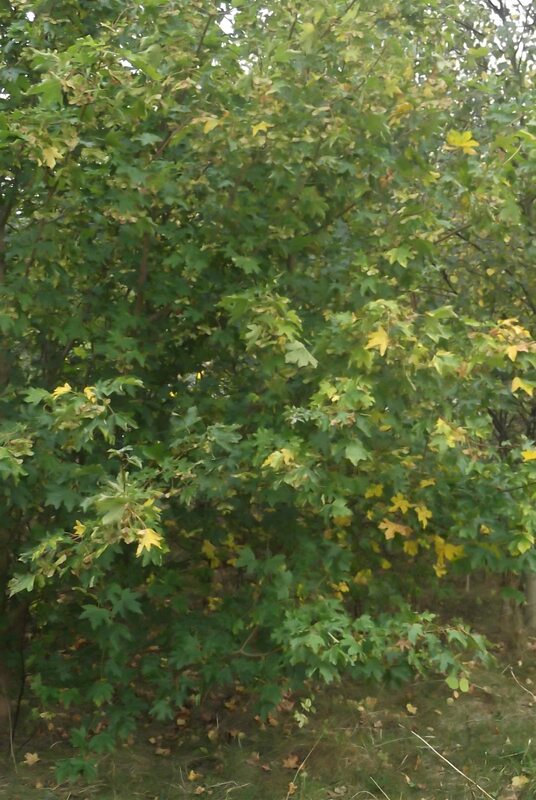 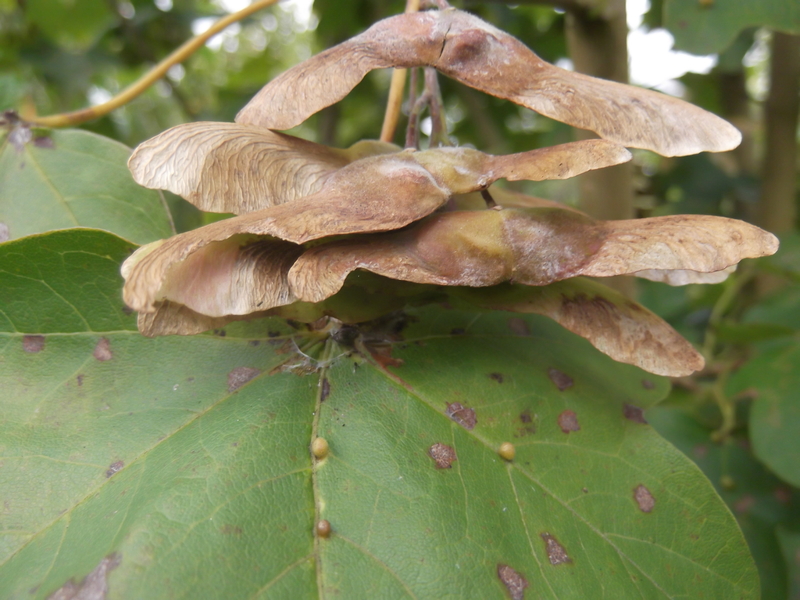 Field Maple tree and seeds, September 2014. 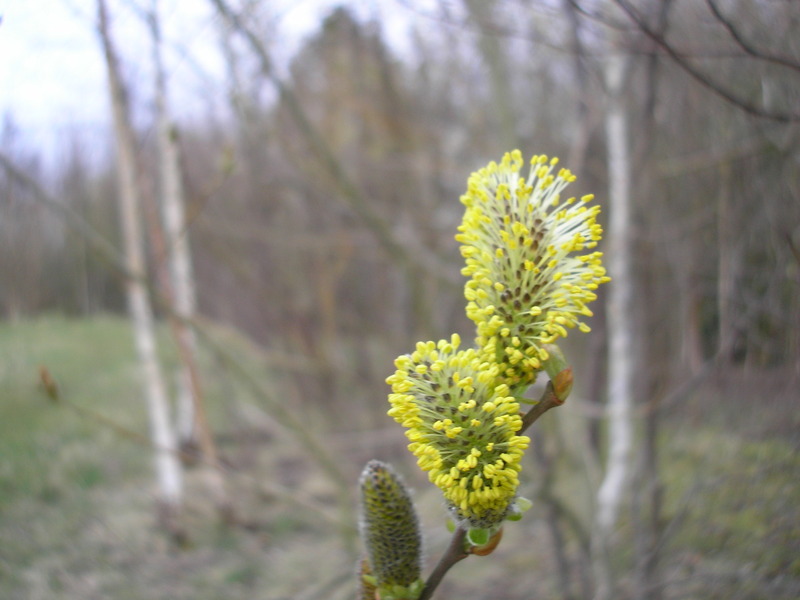 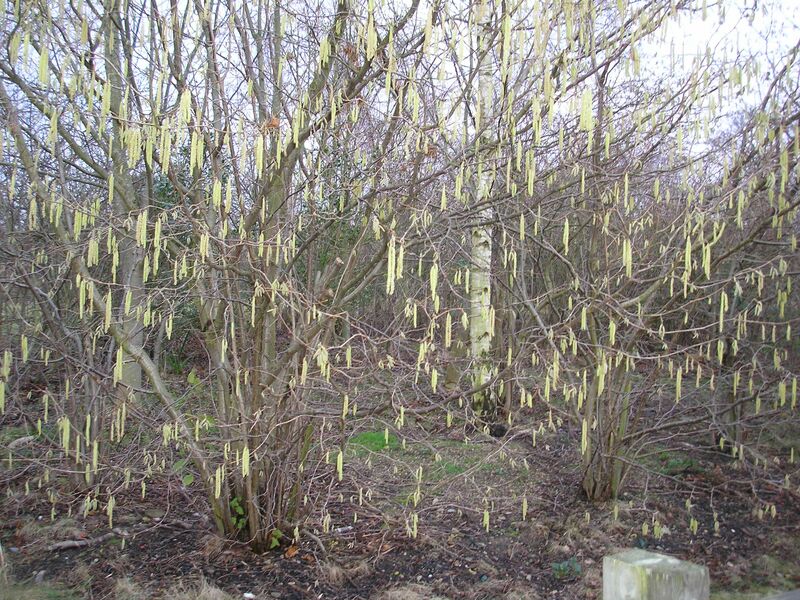 Male Goat Willow flower and Goat Willow tree in a dip east of the path. 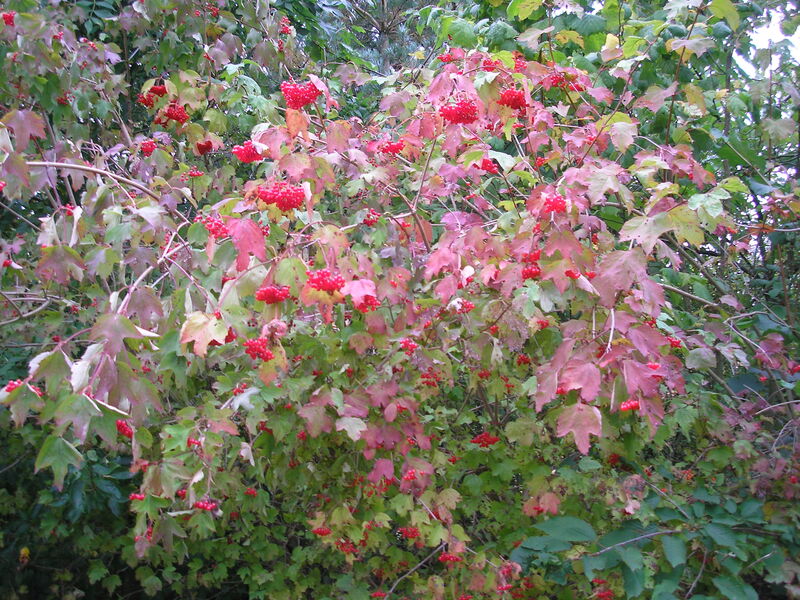 Beautiful Autumn colours of Guelder rose, September 2014. 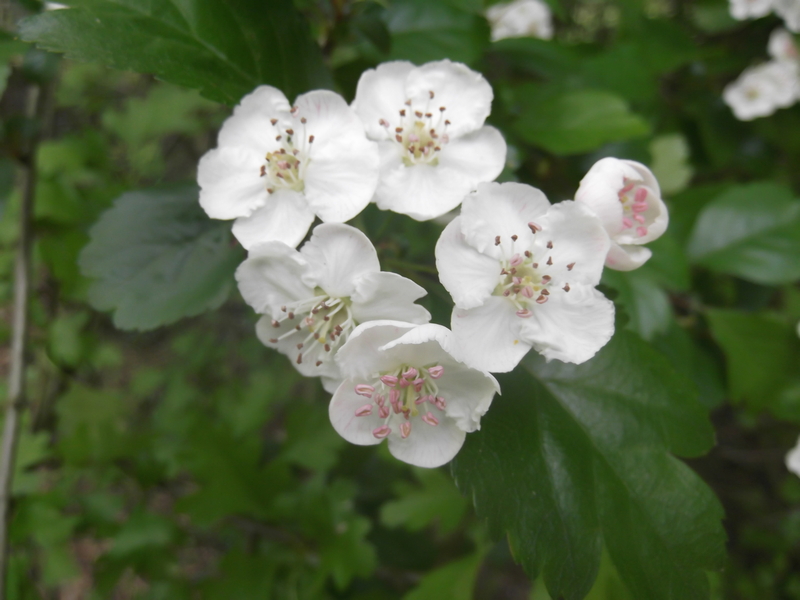 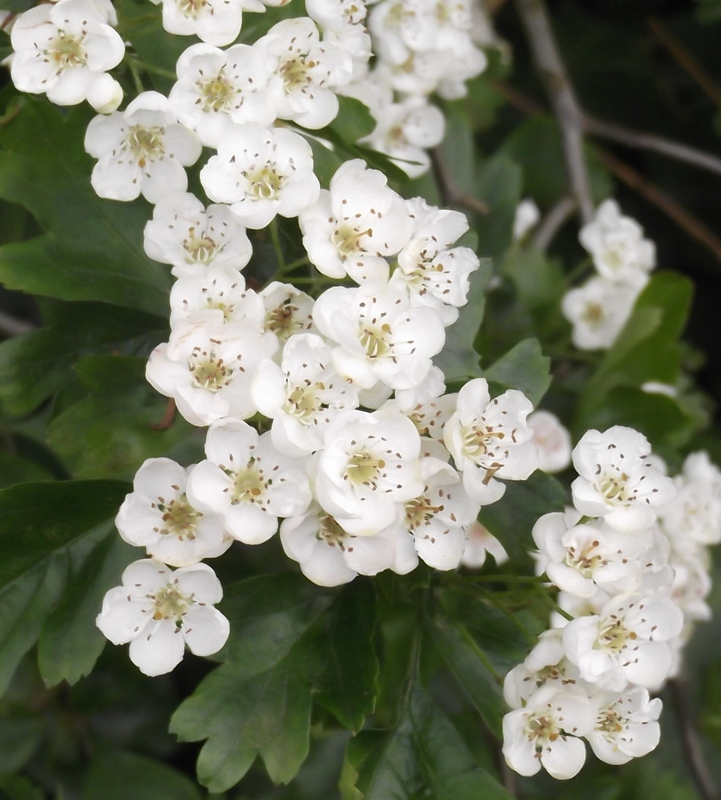 Hawthorn in May and September 2014 (Common Hawthorn). 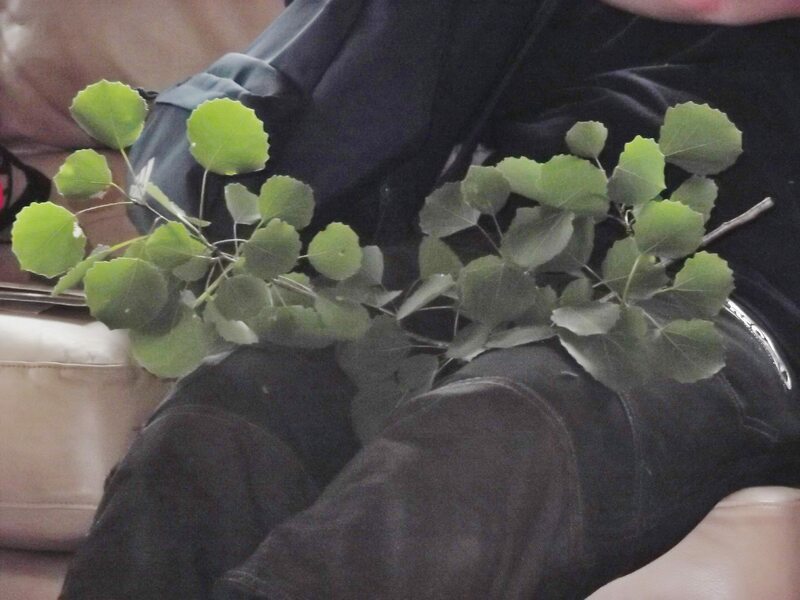 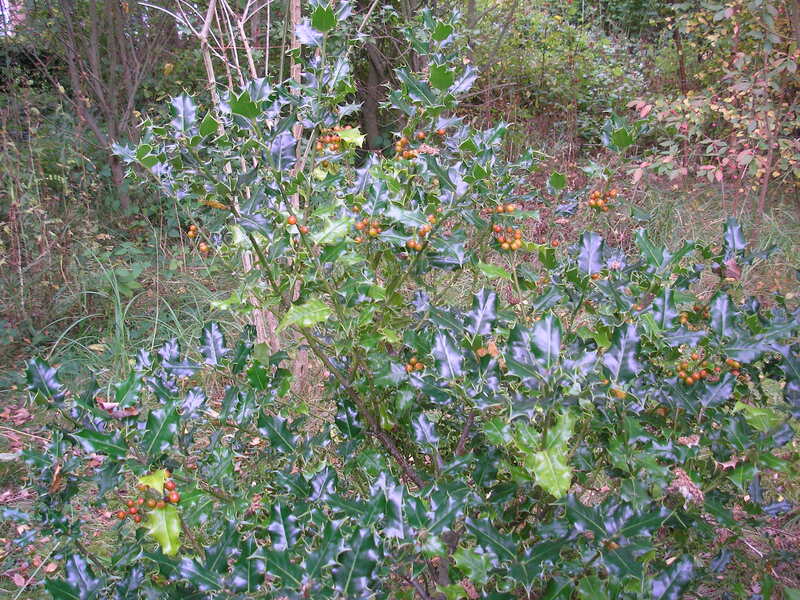 (note colour and less lobes on foliage). 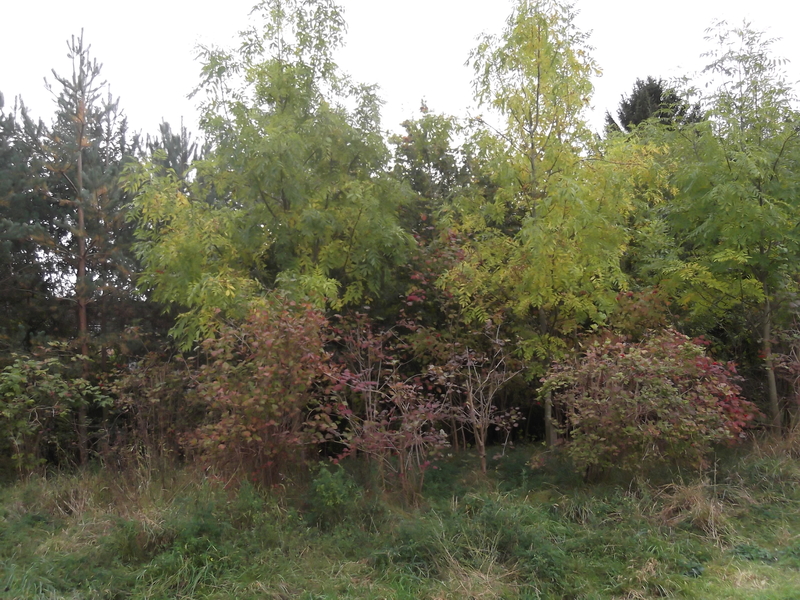 Hazel in January and September 2014. 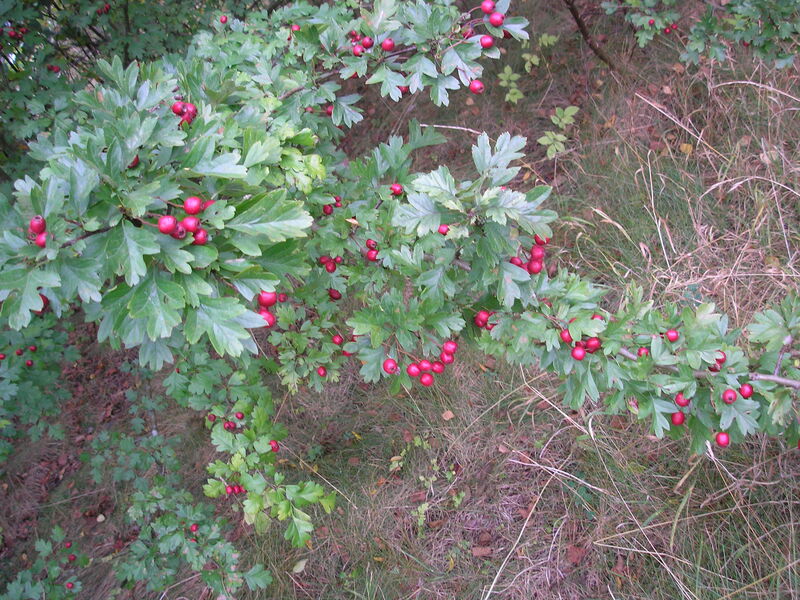 Holly, September 2014 (Thanks to Pam for the photo). 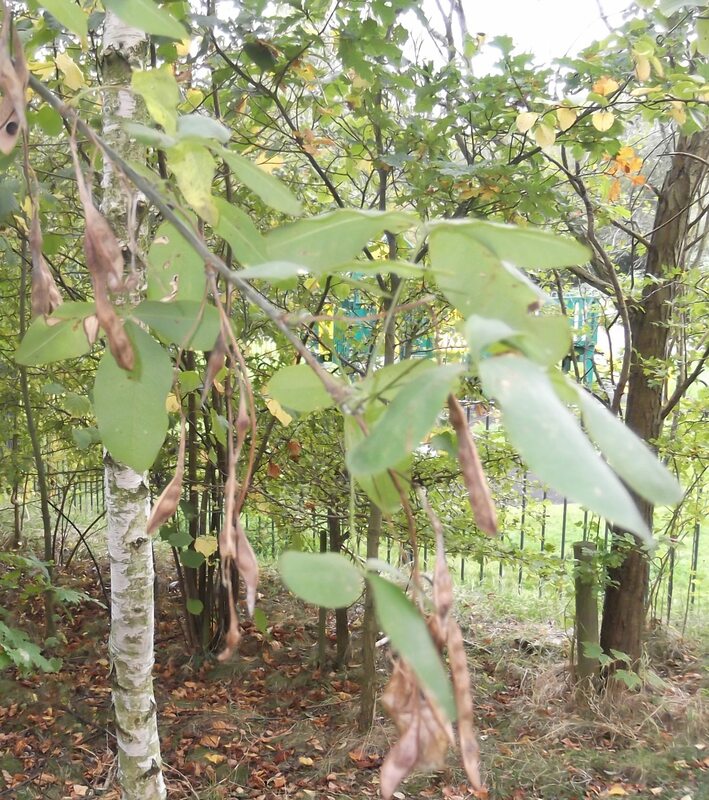 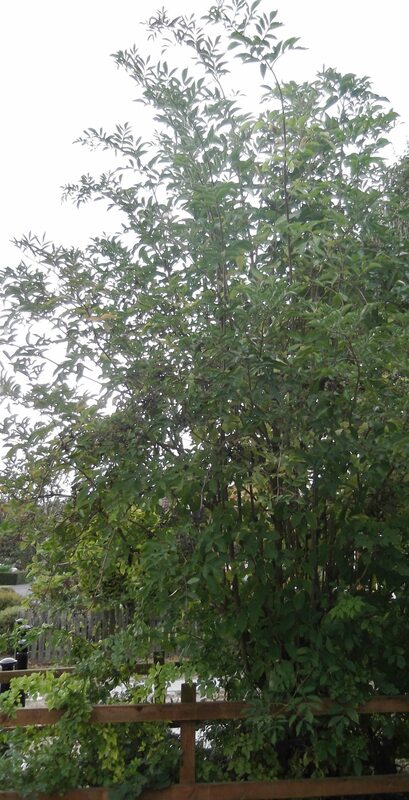 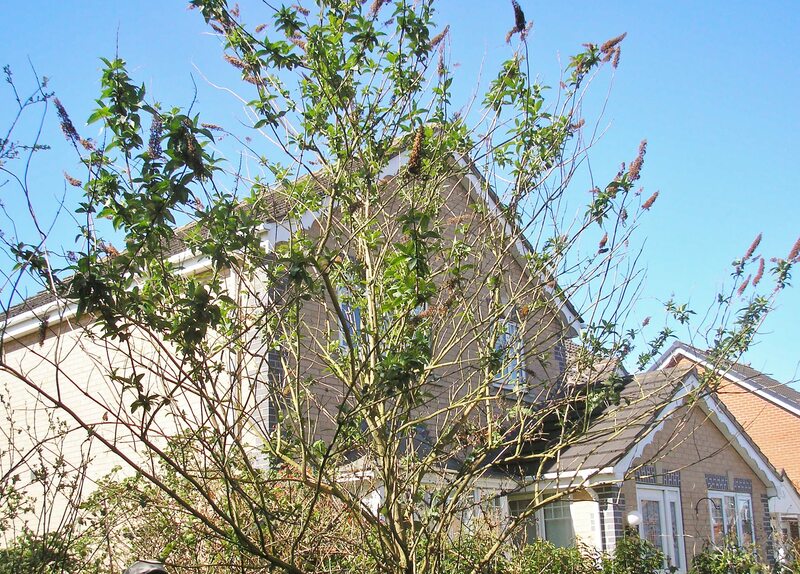 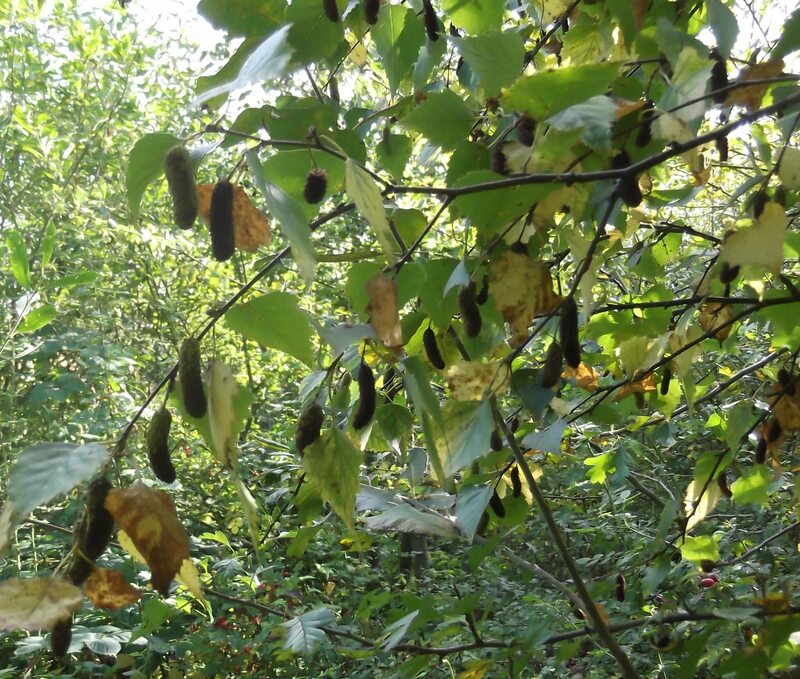 Laburnum branch with seed pods, October 2014. 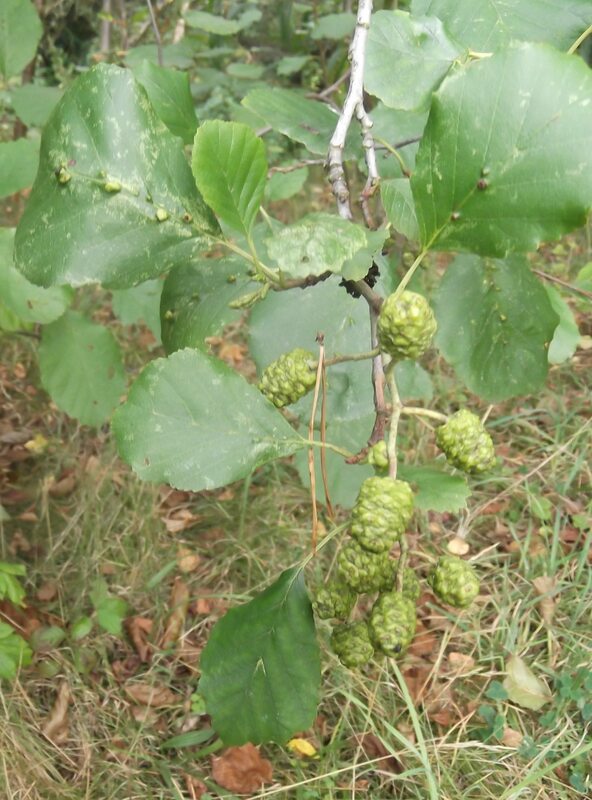 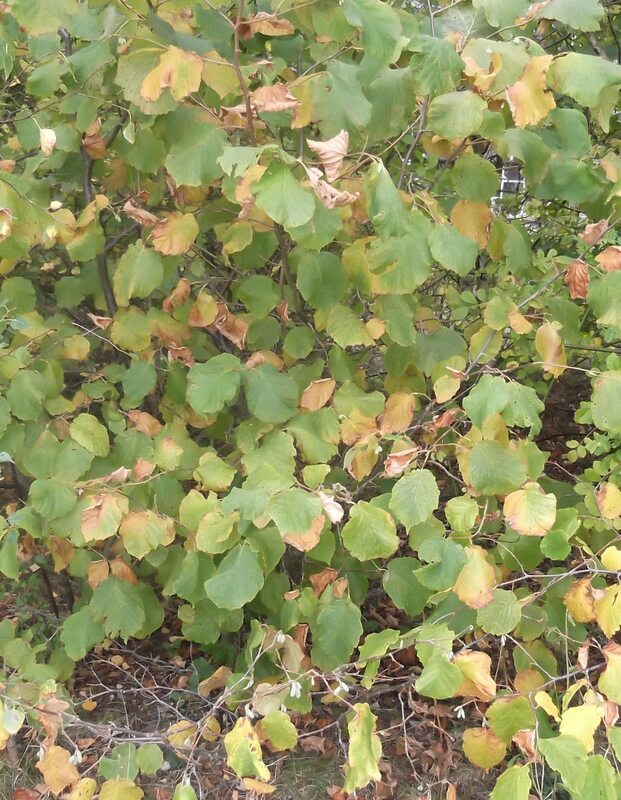 Small Lime tree in October 2014. 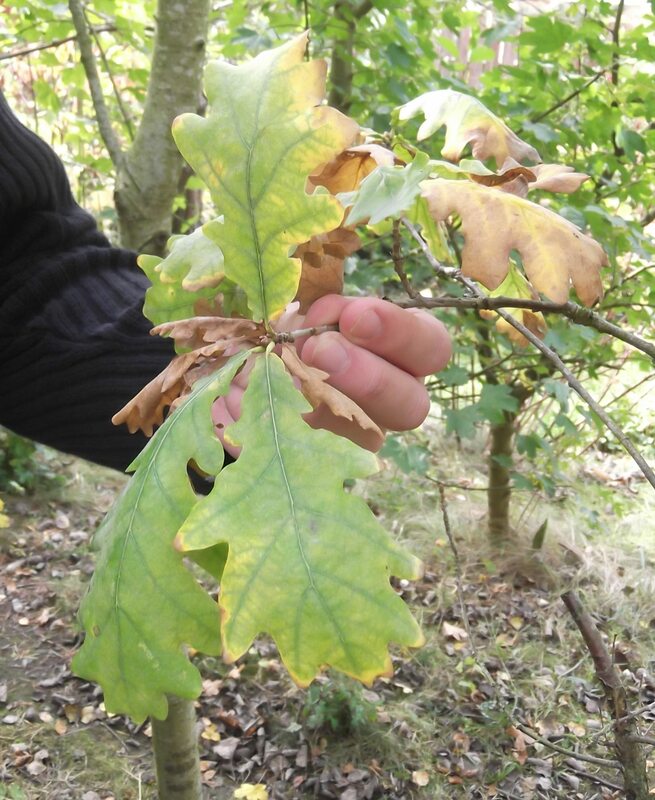 Oak, October 2014. 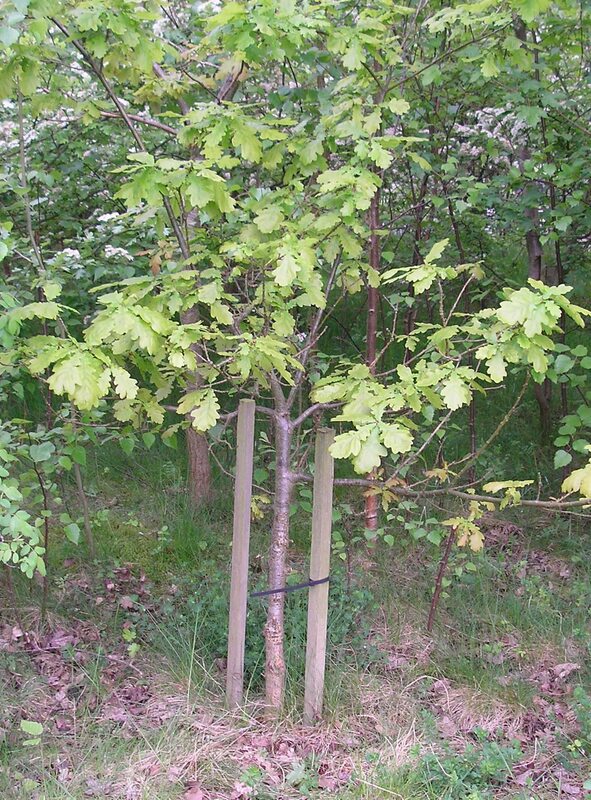 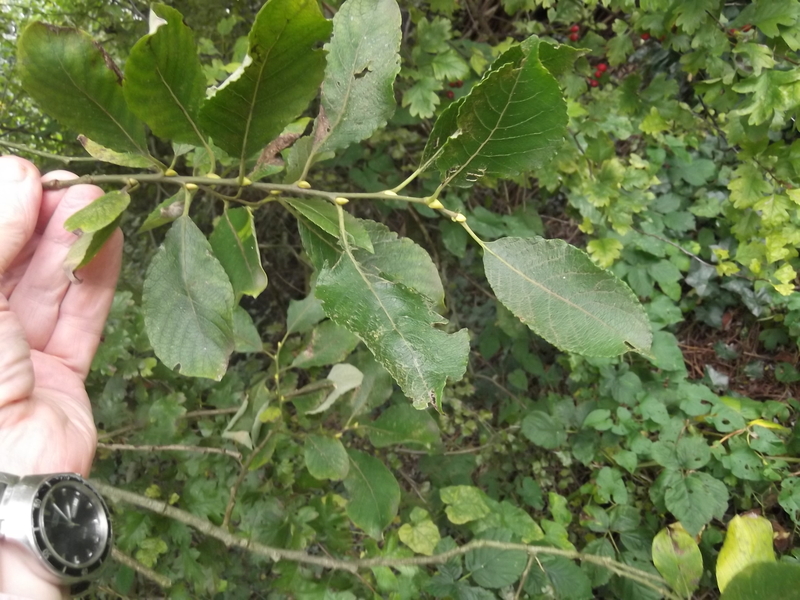 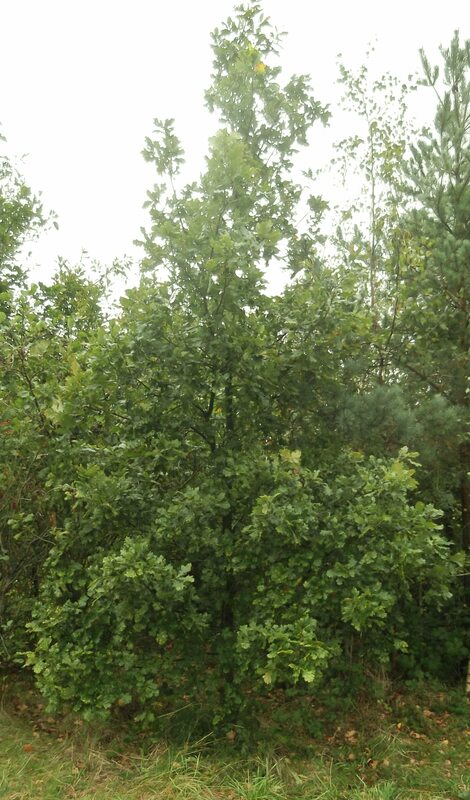 Note the short leaf stems on Quercus robur. 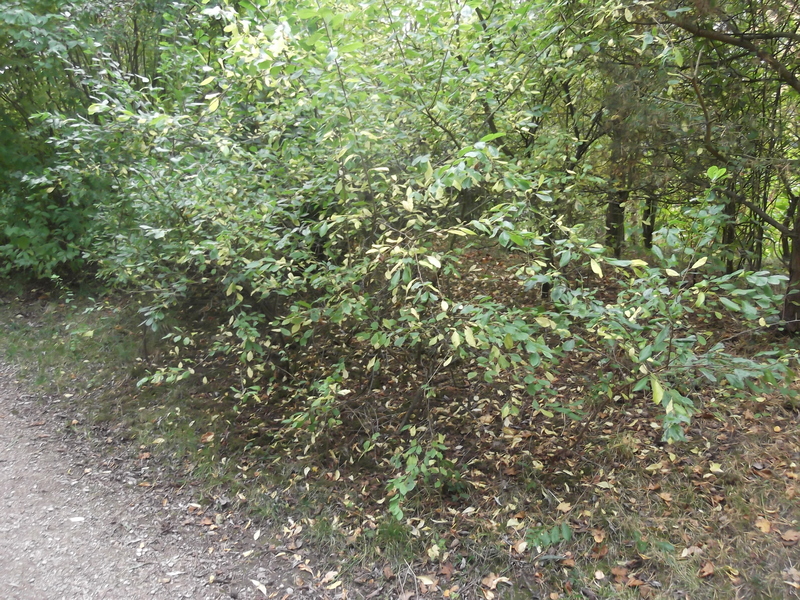 An attractive more mature Oak west of the path, October 2014. 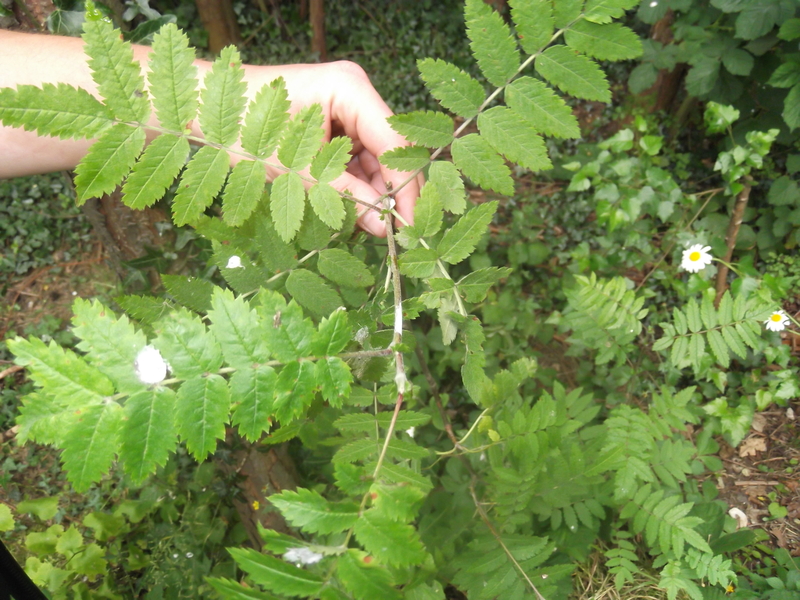 A small Rowan (self sown). 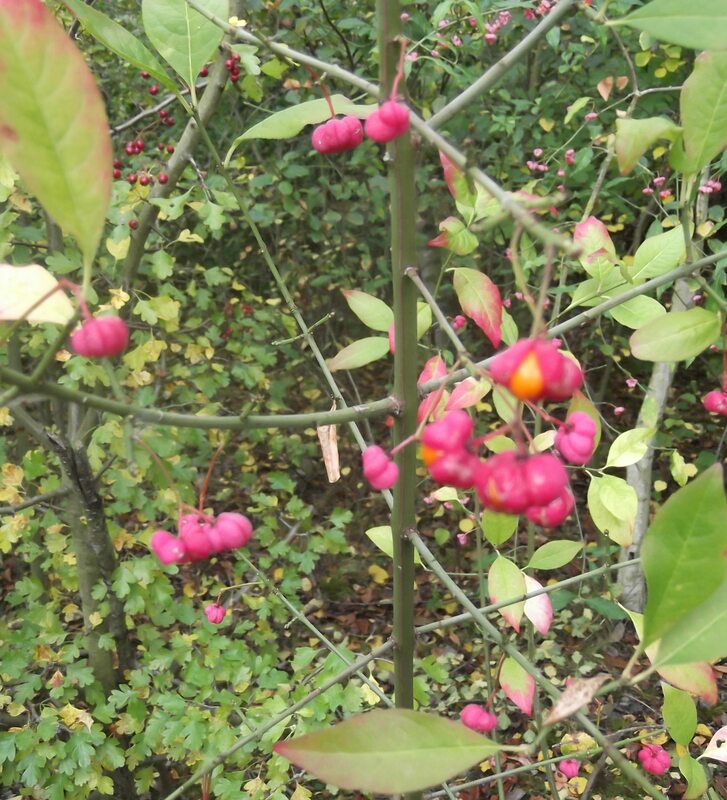 Spindle tree, September 2014 (thanks to Pam Brown).